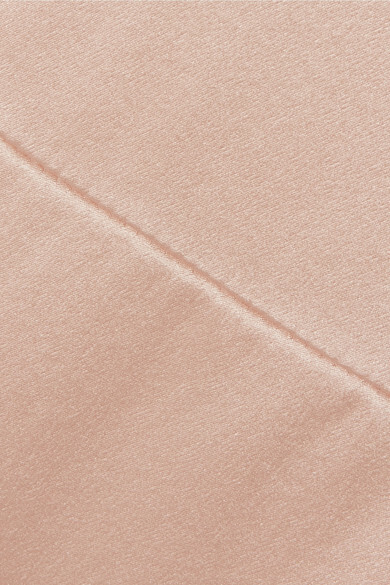 La Collection's co-founder Florence Cools knows exactly what she wants, so rather than sourcing fabrics from trade shows, she has some made for the brand instead. 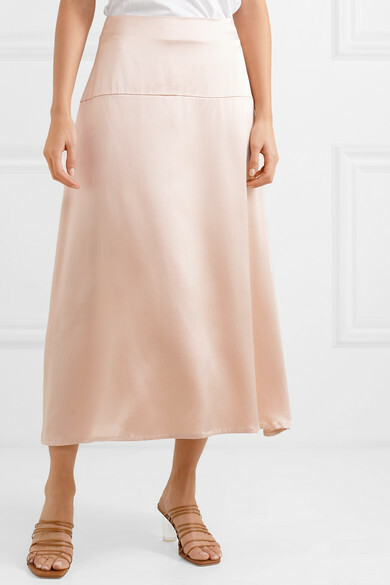 This 'Alara' midi skirt is flatteringly cut on the bias from 18 grams of silk-satin - you'd usually find it in on the sewing tables in couture houses. 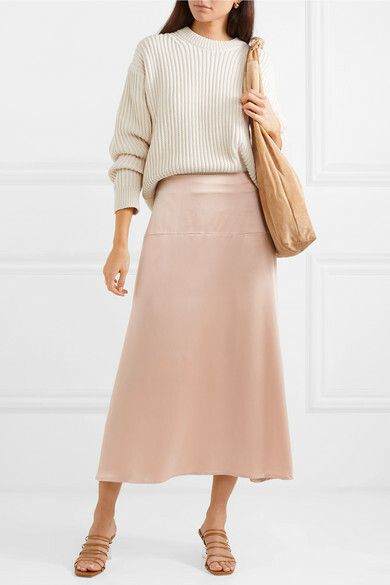 The Spring '19 way to style the blush hue is with even more neutrals. Shown here with: Acne Studios Sweater, The Row Shoulder bag, REJINA PYO Mules.